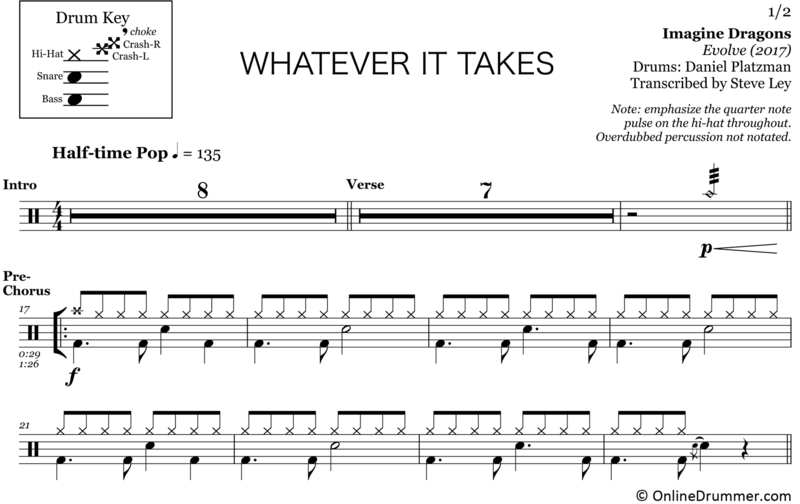 The full drum sheet music for “Whatever It Takes” by Imagine Dragons from the album Evolve (2017). Daniel Platzman plays a foundation-laying, steady, half-time groove underneath Dan Reynolds’ rhythmic vocals throughout the song. Platzman changes to a quarter-driven approach during the bridge and outro of the song, keeping things interesting. 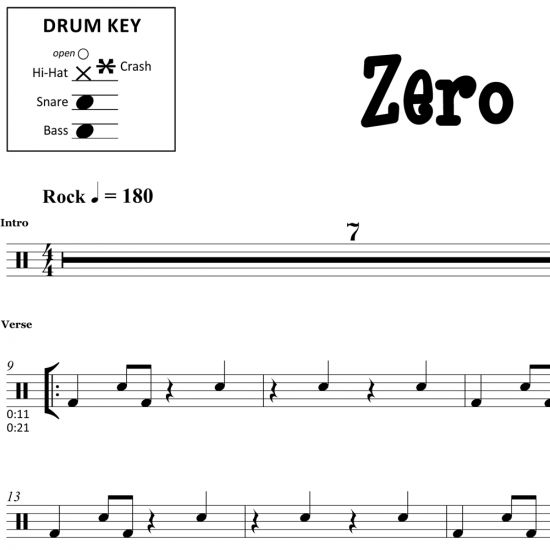 Using a unique and very effective approach, Platzman incorporates ‘white space’ (or rests) instead of traditional drum fills when transitioning between parts of the song. 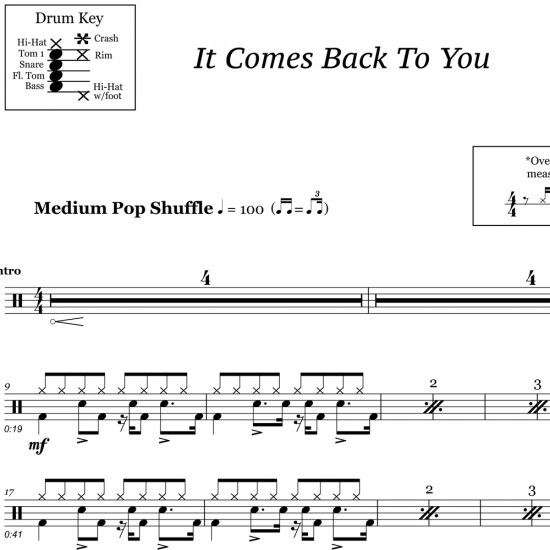 This is a great drum part to study with invaluable examples of playing for the music. The full drum sheet music for "Zero" by Imagine Dragons from the album Origins (2018). 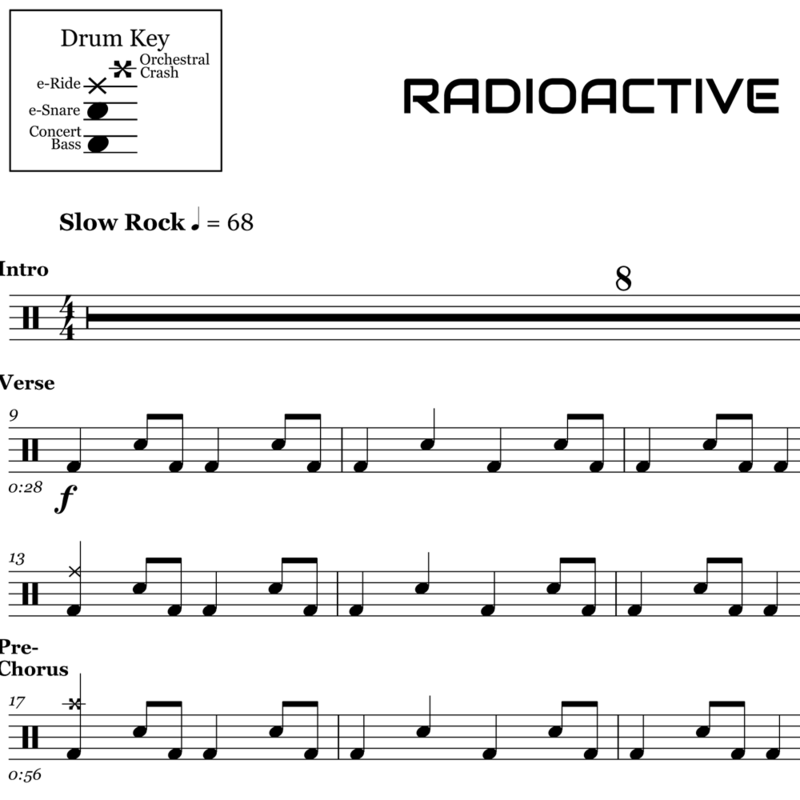 The full drum sheet music for "Radioactive" by Imagine Dragons from the album Night Visions (2012). The full drum sheet music for "Sucker For Pain" from the movie soundtrack album Suicide Squad (2016). 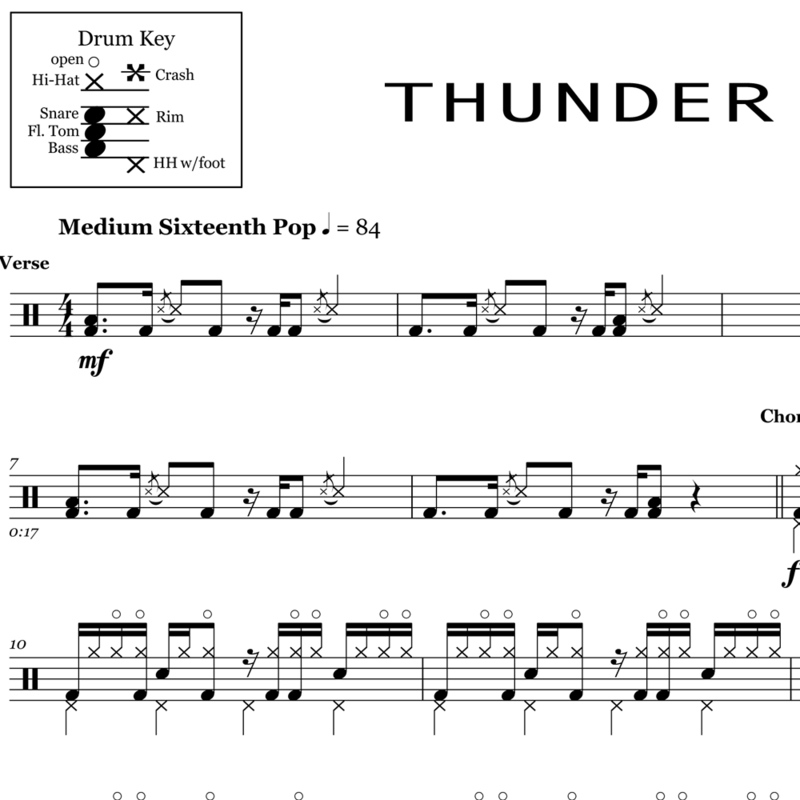 The full drum sheet music for "Natural" by Imagine Dragons, released as a single in 2018. 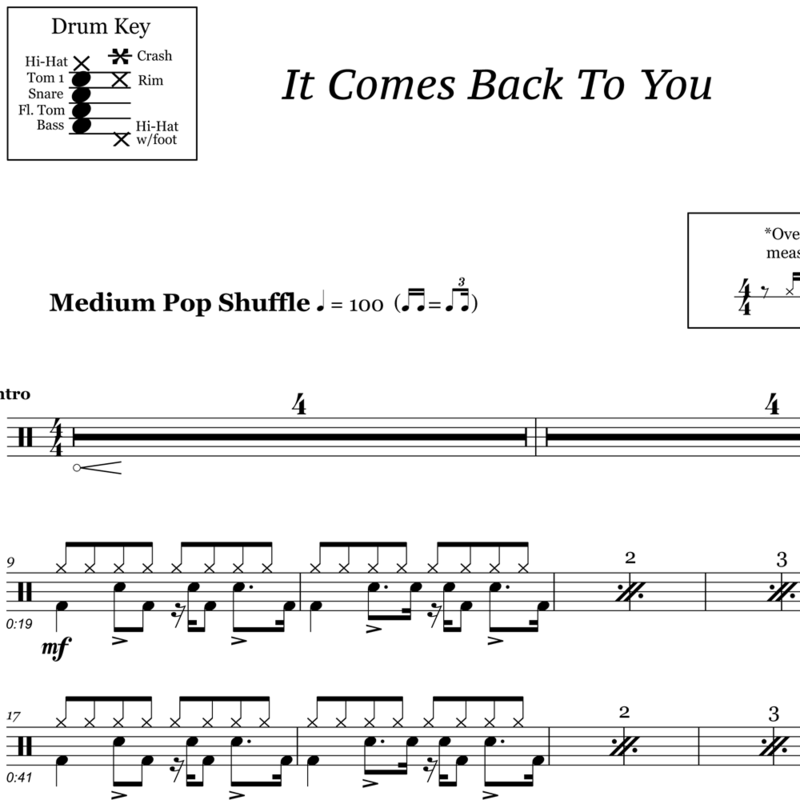 The full drum sheet music for "It Comes Back To You" by Imagine Dragons from the album Smoke + Mirrors (2015). 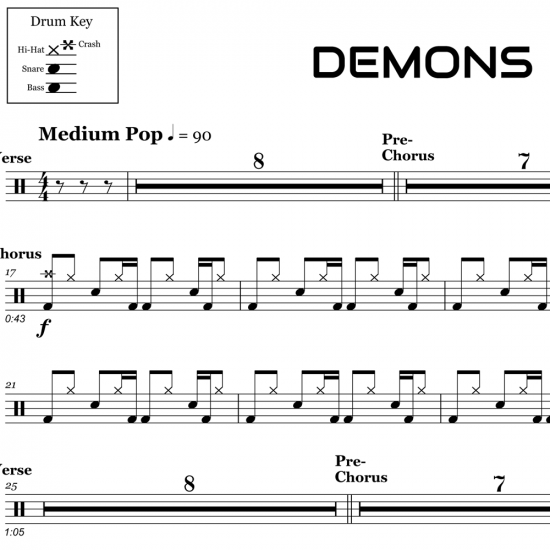 The full drum sheet music for "Believer" by Imagine Dragons from the album Evolve (2017). 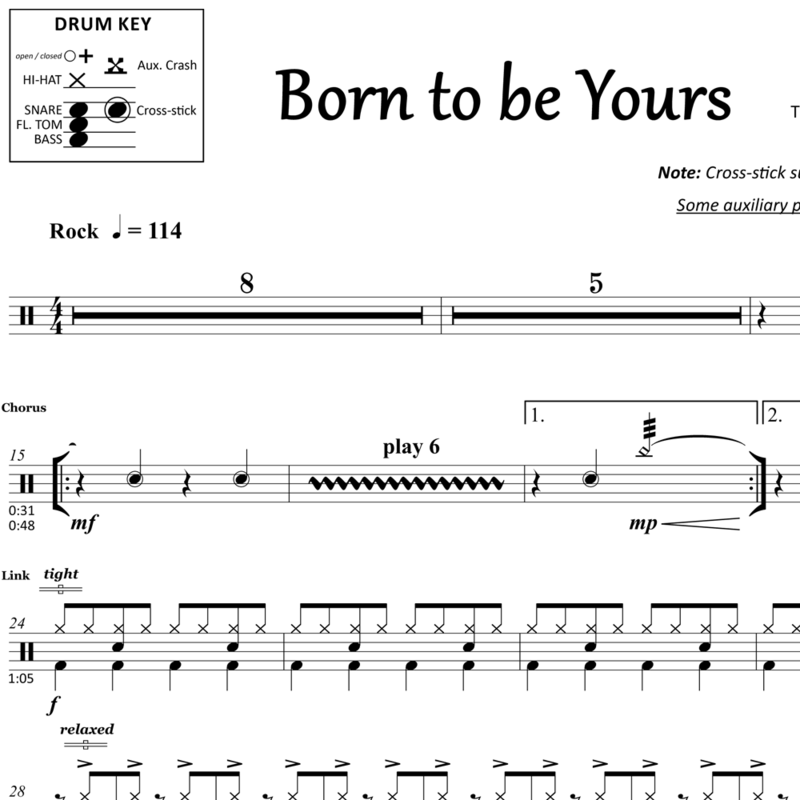 The full drum sheet music for "Born to be Yours" by Kygo & Imagine Dragons, released as a single in 2018. 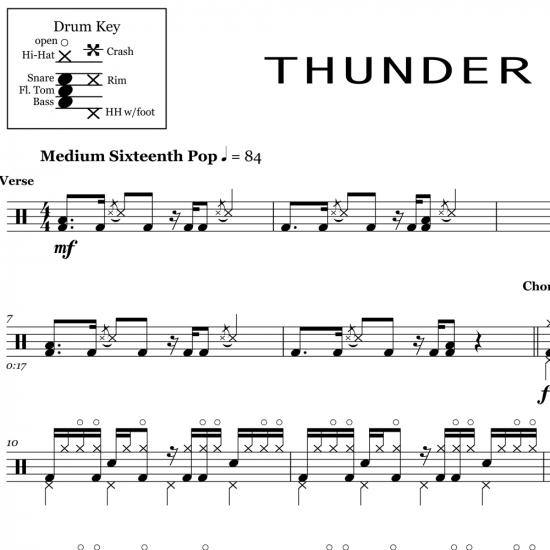 The full drum sheet music for "Thunder" by Imagine Dragons from the album Evolve (2017). 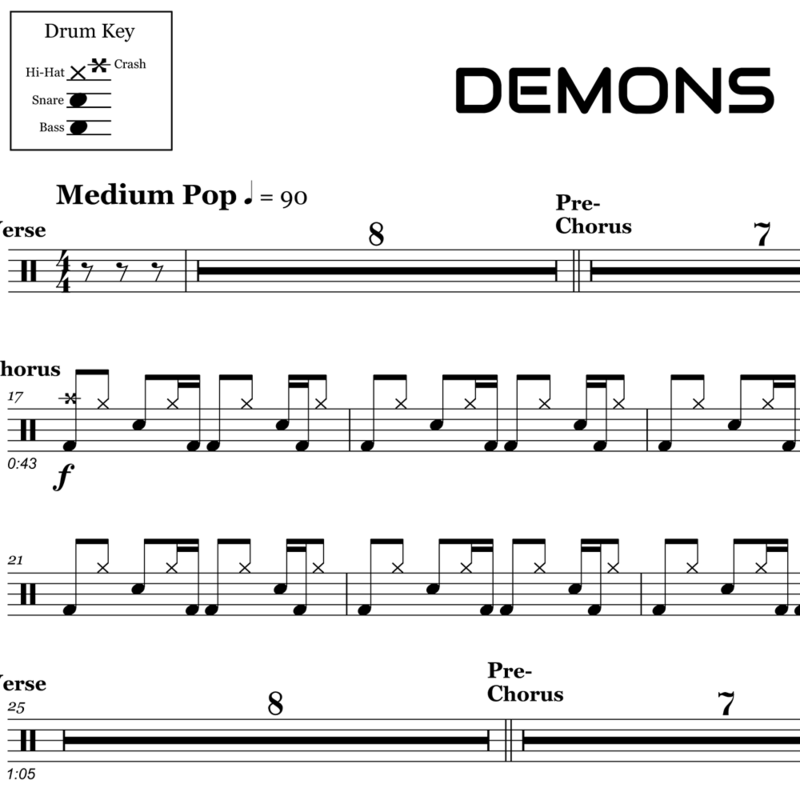 The full drum sheet music for "Demons" by Imagine Dragons from the album Night Visions (2013).